The game of Bridge opens up a wealth of new opportunities, both during the day and at night, to meet other like minded people. Bridge offers genuine company with endless pleasure, with a bit of exasperation at times. Bridge interests both the older and younger generations alike. 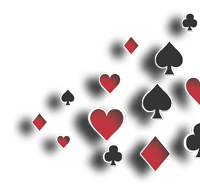 Bridge players are not interested in a person’s social or ethnic background or any of the prejudices that we all encounter occasionally. All that matters is the game itself and the pleasure or challenge that it presents. Bridge is one of the few pass times where a person unknown may arrive at the start of a game unaccompanied and if at all possible a partner to play with will be found. So, get in touch with one of the Clubs in our LEARN BRIDGE column and start playing now!